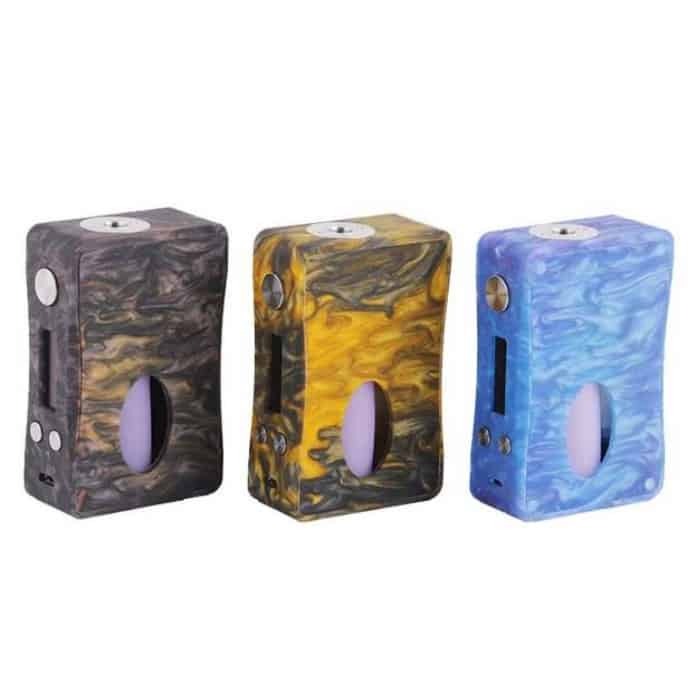 The Aleader Killer 80W Squonk Box Mod delivers a light-weight, bottom-feed device with 80W of maximum power with temperature control that comes in two version: Aluminum and Full Resin. The Killer 80W Squonk Mod showcases a compact structure designed for ergonomic handling with an intuitive OLED screen that is three-button operation. The Aluminum Edition is made out of durable metal shell with beautiful resin dyed panels. The Full Resin Edition implements a stunning resin dyed all-around the structure of the device. The cut-out section houses a 7mL squonk bottle for convenient utilization with bottom-feeding rebuildables. Powered by a single 18650 battery (sold separately), the Killer 80W Mod runs up to a maximum of 80W with variable wattage adjustment and comprehensive temperature control suite.